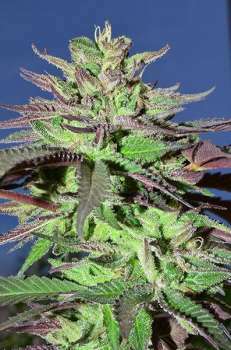 Here you can find a strain description about Mazar i-Shariff x Mazar i-Shariff and also some user-based reviews and infos directly from the SeedFinder (if available). You can also find the offers and auctions here if Mazar i-Shariff x Mazar i-Shariff cannabis seeds are on stock at MyCannapot right now. Mazar I Sharif x Mazar I Sharif Traditional North Afghan charas cultivar Indica Giant Height: 3-4 meters in natural outdoor environment in Mazar-i-Sharif. Aroma: pungent, intense terpene aroma, classic Afghan, with some sweetness Characteristics: Unusually large indica strain with classic wide leaved characteristics. Mazar-i-Sharif strain produces the legendary hashish known as "Shirak-i-Mazar" and "Milk of Mazar". Over-indulgence produces a mind-warping, immobilizing and narcotic effect. This F1 Mazar-i-Sharif X Mazar-i-Sharif brings two very Nice Landrace Mazar-i-Sharif strains together for some Hybrid vigor in a Landrace strain. The female side was brought back in 2009, by someone that was stationed there on deployment that looked and found the best Cannabis farm he could to get some seeds from. The male line goes back to the gypsy nirvana Mazar-I-sharif line that is still being kept going pure! Flower time can be long but well worth it. Mazar-i-Sharif can be a very hard strain to find pure, so don't miss out on this one. Buy Mazar i-Shariff x Mazar i-Shariff now at MyCannapot! There are no actual running auctions for Mazar i-Shariff x Mazar i-Shariff right now.